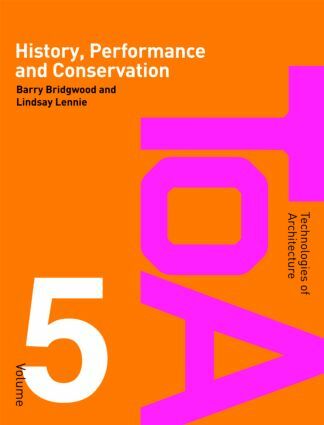 Ideal for students of architectural technology, this volume of the Technologies of Architecture series covers the technologies available and the processes necessary for the conservation of existing buildings and environments. This book provides, in a single text, the tools for students to be able to evaluate such buildings, as well as an extensive understanding of the mechanisms which cause their deterioration and knowledge of the technologies available to correct their status. The ever higher standards set for buildings, especially in energy conservation contexts, demand that practitioners appreciate how the performance of existing structures can be enhanced, which is also covered. Considering the work of conservation within a holistic perspective and historical context, this book is additionally invaluable for architecture and construction students.